Mr. Sameer Dharkar, Managing Director of Absolute Hotel Services Indian Continent & Middle East is delighted to announce the appointment of Ms. Seema Rajwani as Regional Director of Sales India & Middle East effective March 2016. As Regional Director of Sales, Seema will be responsible for overseeing the daily operations of sales activities, setting up strategy to drive sales revenue and implementation based on process and standard procedure, managing existing clients as well as expanding client’s base for both inbound and outbound. 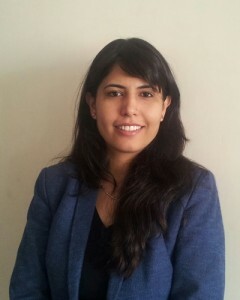 Prior to joining Absolute Hotel Services India, Seema has gained more than 10 years of experience in the sales domain focusing on MICE and banquets which includes rooms and catering sales and was responsible for achieving the desired revenue targets as well as implementing revenue strategies for the hotels. She has worked with brands like The Lalit, Accor Group and MayFair. Seema has a bachelor degree in hotel management and is a post graduate in business management.